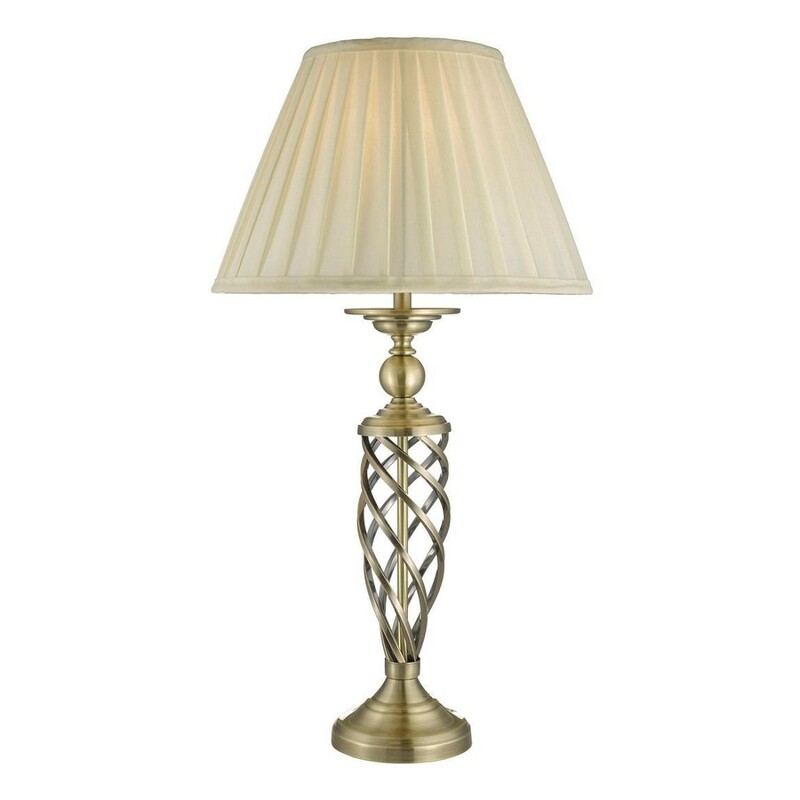 This table lamp will add a touch of classical character to the home. Ideal for living rooms or bedside tables, its antique-inspired design features a spiralling brass frame paired with a pleated cream shade for a soft glowing ambience. It requires 1 x 28W bayonet cap BC halogen bulb.